Fort GreeneVille Chapter, DAR recently was invited to an "After DAR(ke)" Presentation on Antique Toys and Selected Rooms in the National DAR Museum. The program was given by the chapter's own museum docent, Mary Kay Felton. After the presentation, there was a show and tell of cherished toys by each attendee. Toys shown were 80+ year old wooden blocks and metal windup truck, 50+ year old teddy bear that even went to college, Chatty Cathy doll, among other keepsake toys. 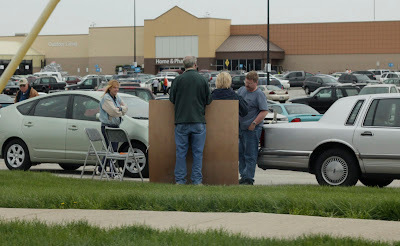 While a group of citizens hold a drive at the old LoBills/Marsh parking lot to put Senate Bill 5 on the November ballot to have its fate determined by voters, the Mercer County Liberty Group is holding a drive to gather signatures for a petition that would effectively stop the health care reform act. 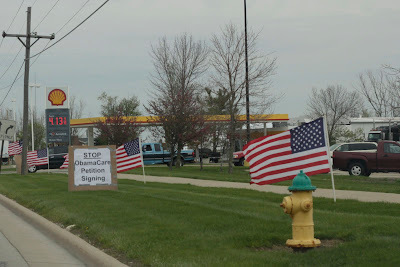 According to a flyer that was distrbuted around town, the petition would introduce an amendemnet to the Ohio constitiuion that will "preserve the freedom of Ohioans to choose their own health care and health care coverage." The group is setup in the Wal Mart parking lot on Wagner Ave today until 3pm if you're interested in signing. The Light Foundation recently held its 3rd Annual Youth Turkey Hunt. The essay winners that participated in the hunt were Samantha Marion, Austin Coning, Jacob Breymier, Ben Landis, Brandt Landis, J.R. Fickert, Preston Deeter, Levi Livingston, Adam Atwon, Jacob Gehert, Dillon Shumaker, Karina Brown, Andrew Smith and Kyle Huston. 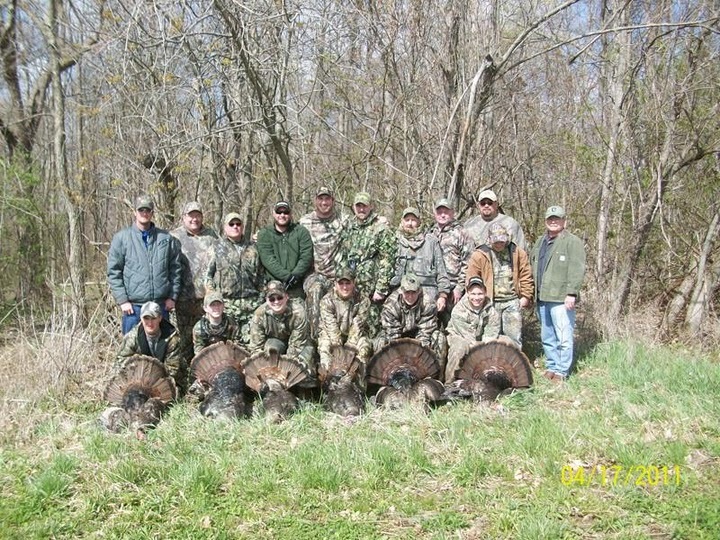 Eleven of the Fourteen hunters brought back turkeys over the two day event. 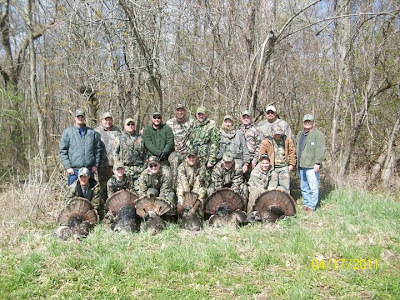 The hunters were sent out with guides, Matt Light, Jesse Valdez, Wade Tupper, Todd Harter, Dwight "Buford" Edwards, Andy Turpen, Donnie Durst and Jimmy Mueller and were assisted by spotters Gregg Gilbert, Darren Hyatt, Derek Hyatt, Nic Camacho, Jeff Martin, John Lloyd, Bruce Mikesell and Jeff Fickert. The Light Foundation would like to thank Pheasants Forever, Smoke Stack BBQ, Under Amour, Quaker Boy, Zinc Calls, Frame's Outdoor Sports in Liberty, IN, The Village of Wayne Lakes, Ace Hardware, The Daily Advocate, WTGR, Darke County Schools, students Preston Deeter, Sam Capasso, Brendyn Fogt, Andy Heindl and Alex Stewart from the Greenville High School Interactive Career Tech Course, Mark Twaits of Red & Ruth's Tavern, and of course all the private landowners who donated the use of their land for the event. The success and turn out for this years turkey hunt could not have been possible without your time, efforts and sponsorship. For more information about the Light Foundation please visit us on Facebook or at www.mattlightfoundation.org. There will be an informational meeting for all Jr. High and High School athletes, and their parents, who are planning to run Cross Country on Tuesday, May 17 2011 in the Greenville High School cafeteria at 6:30 p.m. This meeting will be used to discuss the upcoming season and to share pertinent information about the program. I look forward to seeing you there! 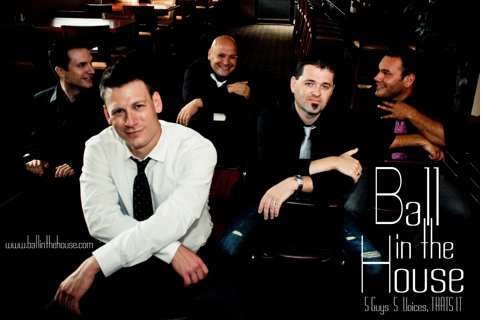 “Ball in the House” 5 Guys, 5 Voices… That’s it!! Check out our website at www.towne-and-country-players.com. Click Here to see an example of their performance. Fitzwater Tree & Lawn Care recently donated a tree to State of the Heart Hospice in honor of National Arbor Day. 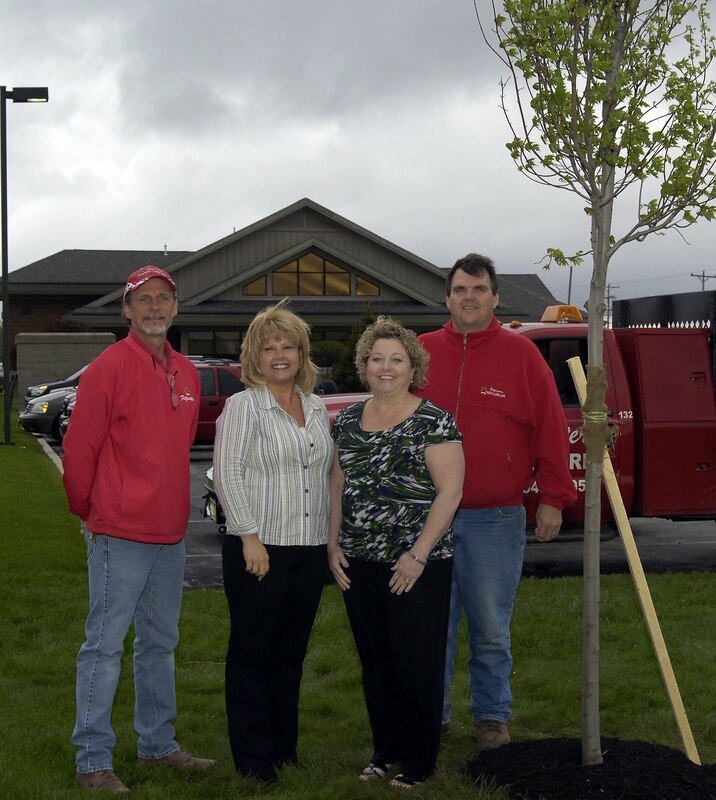 Pictured above are Pam Bowman, left, Director Property & Risk Management, and Tammy Fox, Executive Director of State of the Heart Hospice, with Rick Beam, far left, and David Furlong, far right, owner of Fitzwater Tree & Lawn Care. A group of local citizens held a drive to gather signatures for a petition that will be submitted in an attempt to get Senate Bill 5 placed on the November ballot to have its eventual fate determined by voters. Did you sign? What do you think? Is the measure worth at least being determined by the public, rather than elected officials? Update: The group will be out at the old Marsh/Lo Bills lot again Saturday, April 30th from 12-2 in case you'd like to sign, but missed them tonight. We have Sparkle at the Darke County Animal Shelter. She is a 1-year-old Lab mix. She is black with a little white on her chest. She is a friendly girl and loves to play. She was found South of Greenville on 127. She is ready for adoption and looking for a new home. We have Toby at the Darke County Animal Shelter. He is a 9 month old Shepherd mix. He is mostly brown with a little black and white on him. He has medium length hair. He is a nice dog and is still a big puppy. He is looking for a good home and is ready for adoption. We also have a boxer, another shepherd mix, an older Min pin and an older Yorkshire terrier, some lab mix puppies and numerous other dogs. We also have cats and kittens for adoption. Reminder: The Friends of the Shelter are giving away a Kitchenaid Mixer, Blender and a Chef Chopper for Mothers Day. Raffle tickets are available at the Shelter. Drawing will be May 6th live on Tiger Country, WTGR. For more information you can contact the Animal Shelter at 937-547-1645. For more information and to see the dogs we have go to our web site at www.darkecountyanimalshelter.com. Looking for that special gift for mom on Mother's Day? Take a trip out to the Nature Center gift shop at Shawnee Prairie Preserve. The shop, run by the Friends of the Darke County Parks, is fully stocked with all sorts of great gifts for mom! From premium garden flags to local honey, you are sure to find that perfect present. We just got in a new shipment of Atlas garden gloves, they are considered the best fitting, most comfortable gloves on the market. How about picking up a hummingbird feeder or a beautiful bird themed puzzle? Does your mom enjoy the outdoors? If so, we have a great selection of field guides, Earth, Sun and Moon apparel and nature themed jewelery! The gift shop is located at 4267 State Route 502 in Greenville and is open Monday thru Saturday 9am-5pm. For more information, please visit our website at www.darkecountyparks.org or call 937.548.0165. Girl Scout Troop #31293 recites this promise at their meeting twice a month, as well as the Pledge of Allegiance and the Girl Scout Law. This year, the girls decided to help others by making a donation of five cases of delicious Girl Scout cookies to FISH Choice Pantry located at 501 Gray Avenue in Greenville. Donations for the pantry are accepted year-round, and they may be dropped off Monday through Friday between 9 a.m. and 5 p.m. For more information, please contact Cutarelli at 937-916-6033. Knights of Uncommon Valor, EUM’s Men’s Ministry will be hosting a “Knight of Worship” on Sunday, May 15 at 7:00 p.m. at the Worship Center (1451 Sater Street, Greenville, Ohio.) This community-wide event for men will include worship with the Quest Band, Hot Wings & drinks plus a keynote speaker and testimonies by a couple of guys from Knights of Uncommon Valor. Men of all ages are invited to bring a friend and just show up! For more information, contact Jeff Feitshans at 621-1100 or jfeitshans001@woh.rr.com. April is almost gone and hopefully all the rain that is associated with it. By the time this is written, maybe our farmers are finally getting their planting at least started and hopefully done. April is also tax time as we all know, but this year we all got a 3 day reprieve. We hope everyone’s taxes are paid, or all of your refunds are already back to you. April has been a mixed bag here in the Commissioner’s office. We have done a lot of catching up on things, and are waiting in some instances to hear some results. The State Rte. 242 project is, according to the Ohio Dept. of Transportation in Sidney, is still being pursued. This project will enhance the Darke County Airport immensely. No completion date has been set, but we will stay on top of the project and move it along as quickly as we can. As of now, we have had no new updates on the wind farm project in the northwest part of the county. At last report, Invenergy, the company heading the project, seemed to think they were on schedule. We are in the process of reviewing applications for Community Development Block Grant (CDBG) money. There are approximately 11 projects under consideration, but we will not know anything until the grant money is awarded. We have no idea how much it will be, so once again we are in a wait and see mode. The state budget is not fully set yet, so we still have no idea how much money will be coming to the County. The Commissioners and our Elected Officials in the Courthouse will prepare as best we can to make sure Darke County stays fiscally sound. We will continue to monitor this situation, and we will have a solution hopefully by mid-year. Students from the High Schools in our county will be taking tours and attending a session of the Darke County Commissioners for Student Government Day. This is a yearly event, and we look forward to helping our young members of the County to learn about how their County works. The Economic Development Dept. continues to stay very busy with job retention and acquisition. Marc Saluk, our Economic Development Director, did take a well deserved week of vacation this month, but as soon as he got back, started right in again. This dept. seems to be making a lot of progress, and Marc and Melanie Nealeigh, the secretary, continue to advance Darke County whenever possible. When you see them, thank them for a job well done. As always, we look forward to hearing and seeing you at one of our Regular Session Board meetings, held every Monday and Wednesday at 1:30 p.m. in the Commissioner’s Office, located next to the Courthouse at 520 South Broadway, Greenville. Hope to see you there! Check out this story from the Columbus Dispatch. Basically, a disease that is threatening our bat population could lead to a boom in the population of insects that are harmful to crops. Some estiamte the economic impact of this shift to be in the millions to local farmers. Click here to read the full story from the Columbus Dispatch. When it comes to reclaiming the past, Country Barn Primitives is doing just that. Country Barn Primitives are handcrafters of reclaimed barn wood furniture and décor. The lumber that is used for the handcrafted wooden furniture and décor is reclaimed from historical barns, some dating back to pre-civil war era. Each item handcrafted is one of a kind holding its own weathered, natural patina. You are welcomed to visit Country Barn Primitives store located at 10 North High St. Arcanum, OH. Inside you will find a variety of Primitives and Americana, handcrafted furniture and décor including hutches, cabinets, shelves, bird houses, hand woven rag rugs, patio pals, hand poured candles and wax tarts, and much more. Store hours are Thursday – Saturday 11:00 am – 5:00 pm. 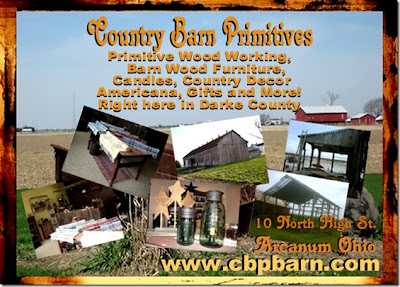 Visit Country Barn Primitives during Arcanum Old Fashion Days May 20-22, 2011 or visit our website www.cbpbarn.com and make Orders Online! Country Barn Primitives “reclaiming our past, for your future”. Annie’s Wild West Gala is honored to announce that Wayne Health Care has become the first “Gold Star” sponsor for Garst Museum’s event. Our ”Annie” showed up in her spring finery to thank Mike Pressnall, who represented the hospital. The Gala will be held on Saturday, June 11 at the museum, doors open at 6:30 p.m. The tickets are $10 and include a tasty buffet. There will be a live auction, a silent auction and raffles as well as door prizes. The Honorable Jim Buchy will be the Master-of-ceremonies---lots of fun. Tickets are available at the museum. For more information please go to www.garstmuseum.org or call the museum at 548-5250. Neal Brady recently spoke to the Fort GreeneVille Chapter, DAR at their April meeting. Mr. Brady gave a program on the Miami and Erie Canals. The Miami and Erie Canal Corridor Association is preserving canals in this part of Ohio. The canals were a big part of Ohio's interstate commerce in the 1800's. They were the first capital improvement project in Ohio. this Friday, April 29, from 3:15 to 5:30 PM. 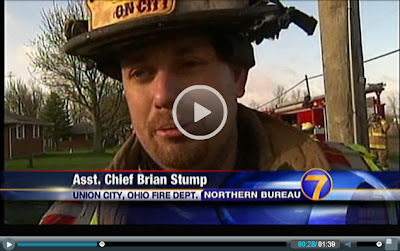 According to WHIOtv.com, there was a structure fire this morning on South State Line Road in Union City. Despite earlier reports, no one was in the structure at the time. In the original dispatch, it was said that children were believed to be in the structure, but it was confirmed that no one was inside at the time of the blaze. Watch at the link here for details as the story develops. What are your kids going to do with all of their free time? Send them to the Darke County Parks for one of our Summer Camps. Each camp is 5 days full of fun and creative ways to discover nature! Hikes, crafts and activities will enhance your child’s appreciation and understanding of the natural world and historic past all around them! This year, we are offering 7 different camps for ages 6-15. For those children who are 6-7 years old and have completed kindergarten, there are 2 camps this year. Knee Deep in Nature will explore nature’s playground. We will venture into every habitat within the Parks and while your child may get muddy and wet, they are guaranteed to have a good time! This camp will be held Monday, July 18 to Friday, July 22. Registration is due by July 5. Frontier Explorations will be held Monday, August 1 to Friday, August 5. During this camp, your child will visit the Log House, Council House, Native American and Longhunter camps and learn several trades of the time. Registration is due by July 18. Both camps will be from 9:30am-12:00pm and the cost is $65 each. If your child attends both camps, you will receive a discount! 8-9 year olds can travel back to the 18th century and spend the week in the Log House living as a pioneer child. During this Log House Living camp, we will spend time playing games, making crafts and maybe even doing a few chores! Log House Living will be held Monday, July 11 to Friday, July 15. Registration is due June 27. Your 8-9 year old can also participate in Creeks, Ponds and Beyond, held Monday, July 25 through Friday, July 29. During this camp, we will head out to various water sources of the Parks to cool off on these hot July days. Your child will dig through the mud and slime and see what creatures call this wet-world ‘home’. Registration is due July 11. Both camps will be held from 9:30am-12:00pm and the cost is $70 each. If your child attends both camps, you will receive a discount! Paddling, Hiking and Camping is back! This is an annual favorite for 10-12 year olds, which will be held Monday, June 13 through Friday, June 17, from 1-4pm. The adventure will begin with paddling in both canoes and kayaks, followed by a float down Greenville Creek. We will wrap up the week with a lakeside overnight camp. Registration is due by June 1. For 10-12 year olds who would like to try out their survival skills, we have a Woodland Survivor camp, Monday, June 27 to Friday July 1 from 9:30am-12:30pm. Your child will learn basic survival skills and put them to the test during an overnight camp in the wilderness of an offsite location. Registration is due June 13. The cost of 10-12 year old camps is $75 and you will receive a discount if your child attends both camps! Extreme Adventures camp is for those teenagers (13-15 years old) who say they are bored this summer. During this camp, we will go zip-lining, kayaking down the river, and even go paint-balling in Dayton. We will wrap up camp by travelling to a State Park, pitching some tents and making dinner over a fire. Your teen will not be bored at this extreme camp which will be held from 10am to 4pm, June 20-June 24. The fee for this camp is $95 and registration is due by June 6. Darke County Parks Summer Camps are filling up fast! Stop by the Nature Center to pick up your registration form and sign your child/children up today! Remember, you are not registered for camp until we have received both your registration forms and payment. All money and forms are due 2 weeks prior to the start of camp. Space is limited, so call the Nature Center at (937) 548-0165 for more information. Hope to see you at camp! The next meeting of the “Living with Cancer” Support Group will be held on Thursday, May 5th from 7:00 to 8:30 pm. The meeting will take place at Wayne HealthCare in the 3rd Floor Conference room. This month’s support group features Dan Kremer, owner of E.A.T. Food for Life organic farm. Mr. Kremer will be speaking about the health benefits of eating local, organic foods. Your local and independent Cancer Association of Darke County sponsors the “Living with Cancer” group in cooperation with Wayne HealthCare. The Support Group is open to anyone that has been diagnosed with cancer; the family and friends of an individual with cancer are encouraged to attend the group as well. Facilitating the support group meetings will be Warren Richards from the Cancer Association, Kay Kirby, Jill Brown, and Vicky Henderson from Wayne Hospital, and Pam Spitler from Breast Cancer Awareness of Darke County. Darke County Parks will be finishing up the spring series of Hike to Health on Thursday, May 5th and Saturday, May 7th. The hike on Thursday, May 5th will be held at the newest park, Eidson Woods Preserve at 6pm. Wear old shoes as the trails may be a bit muddy! The hike on Saturday, May 7th will be held at Routzong Preserve at 10am. There are still several people that have attended all hikes so far and are in the running for a prize, nice work! If you enjoyed the hikes this spring, join us this summer for 6 more hikes at different parks. The weather is warming up so it’s the perfect time to get outside. Check out the Nature Notes for the summer dates or visit our website at www.darkecountyparks.org. According to this article at Harvest Land Coop, E85 fuel is now available at the CountryMark fuel station on Sater Street in Greenville. This is the first E85 pump in Darke County. E85 is a special blend of gasoline that is 85% corn ethanol and 15% petroleum gasoline and can be used by Flex Fuel vehicles. Come Bet Against Cancer at the Cancer Association’s Monte Carlo Night!! The Cancer Association of Darke County’s annual Monte Carlo is on Saturday, May 7th at the Greenville VFW – from 6:00pm to 10:00pm. This year’s Monte Carlo will feature slot machines, the big wheel, black jack and poker tables, a cake walk, the not-so-silent auction, and up/down dice game. The low price of $10.00 per person includes $10,000 in play money, dinner, and chances to win some fabulous prizes. There will be a cash bar available. The evening will begin at 6:00 pm with a live DJ and great music will keep the crowd entertained. No need to purchase a ticket in advance, just come and pay at the door! The best part of this evening is that for $10.00 you can have a fun evening and support your local and independent Cancer Association of Darke County at the same time. All proceeds from this event will help support cancer patients here in Darke County with the various costs of transportation, medications, nutritional supplements, wigs, medical supplies and support groups. A lending library is also available to any Darke County resident, containing more than 80 books related to cancer. The Cancer Association’s slogan is, “Where there is Help, there is Hope.” Help us give hope to Darke County cancer patients and their families and have an entertaining evening! The Cancer Association is a 501c3 non-profit organization that is recognized by the IRS. Have questions about the evening call Tropical Isle Tanning Salon, 619 South Broadway, 937-548-8511 or the Cancer Association office, 209 East 4th Street, 548-9960. The Darke County Parks offers weekly hikes for you to enjoy! Every Tuesday morning at 8am, there is an Early Morning Discovery Hike. These hikes focus on bird watching, trees, fungi, wildflower ID and more. Bring some binoculars or borrow a pair from us. Dress for the weather as the hikes will take place in all weather conditions. Every Friday afternoon at 2pm, April through September, there will be a Butterfly Monitoring hike. If you enjoy watching butterflies and would like to assist in scientific data collection, come join us. Both hikes will meet at the Nature Center at Shawnee Prairie Preserve. Call for more information at (937) 548-0165. (Optional) Call 937-548-2117 to reserve your seat for this awesome fight! $10.00 deposit includes two drink vouchers and one 50% off first appetizer. Seats are going by fast! reserve yours today! Here are a couple of photos from last night. Looks like some roads are close to impassable due to fallen trees. 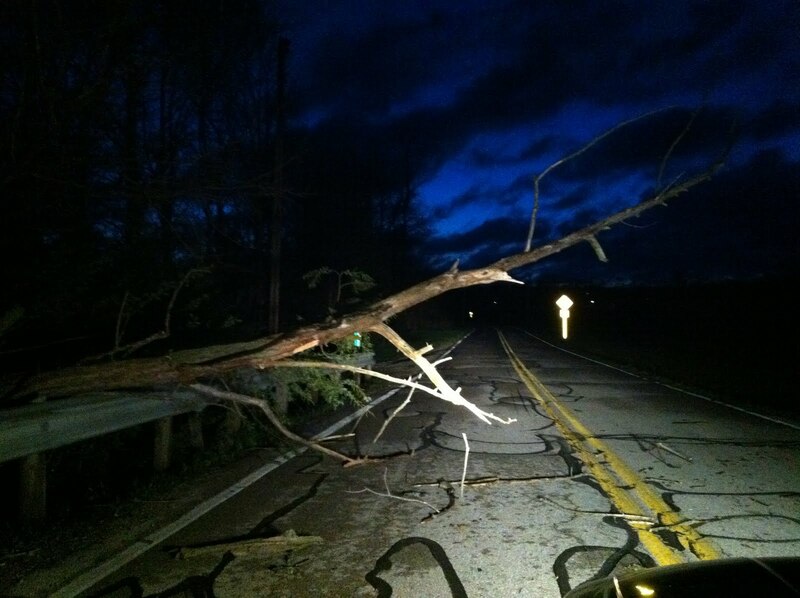 Anyone have any other images of damage or high water? weekdays 10a.m. - 2 p.m.
Friday 3p.m. - 5 p.m. The Blender Mixshow Thursday 3p.m. - 5p.m. You can listen to Wave 96 directly http://wave96.net or through your mobile phone. You can also check out the schedule by clicking here. If you have any questions stop by our Facebook page or shoot us an e-mail anytime! Citizens4Change was contacted by a local organization late last summer to help build a handicap ramp. Due to the timing and weather, the project was placed on hold till this spring. A member of our community has been virtually isolated in their own home for several months having been diagnosed with MS and not being able to leave the home. The homeowner agreed and the community responded. This Saturday, April 23, Citizens4Change and a group of Individuals from EUM church will be building a handicap ramp here in Greenville. We will be starting at 9:00 am (Weather permitting). C4C is A GROUP OF CITIZENS THAT WANT TO MAKE THIS A BETTER COMMUNITY and are doing this by educating, reaching out to our neighbors to lend a helping hand when needed and volunteering in our community. If you are able and willing, we can use the help. We want to give a special thank you to the group from EUM for your support to this community and for heading up this special project. Update: Due to the weather this event has been postponed until April 30th. The Ohio State Alumni Club of Darke County will be holding a Spring Gala at The Bistro Off Broadway on Tuesday, May 24 at 7:00PM. There will be door prizes, a silent auction, food and drink, and the awarding of the 2011 Academic Scholarships along with a presentation by guest speaker Vladmir Nazlymov. Click here for more info! Click here to visit the OSU Alumni Club of Darke County's blog for more details on this and other happenings! Beginning in late July of 2010, the Garst Museum’s Visitor’s had the opportunity to leave a comment concerning their visit to the museum complex. A sampling of the 119 comments from July 27-December 30, 2010 reflect a positive experience. • This is an excellent museum! 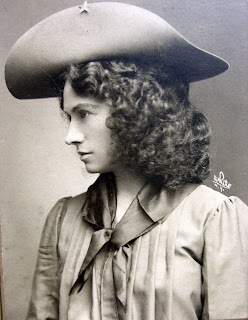 I am currently reading a book on the life of Annie Oakley and being here, everything comes to life. The museum is very clean and well organized. I love it! Keep up the great work! • Fabulous Museum-Ultra clean restrooms-Keep up the good work-You can be very proud of this museum- It equals & exceeds other museum across the USA-We will advertise it to all. Thank You. • Fantastic. We’ve seen many museums in many states & this one ranks up with the best!! Good job. Thanks for your diligence. • Very, very good—Nice people!! • Was an amazing museum! A lot of info for your buck! • Great-much more than I expected. Very clean & well kept. • Best local museum I have ever been in. • The whole museum was so much nicer than the last time I was here! It’s so very enjoyable and educational! • Exceptional! Will send others as the Columbus Dispatch did us. • Simply Outstanding-I’m not a museum type person but this was a great experience. • The Annie Oakley stuff is awesome!!! • Beautiful attention to detail. Great atmosphere and very interesting. • Thanks you for your loving work in capturing the history of this area. • Can’t believe I’ve never made this trip before. We’ll be back! Give the special children in your life the gift of reading during the EUM Christian Preschool Scholastic Book Fair, located at 111 Devor Street in Greenville. 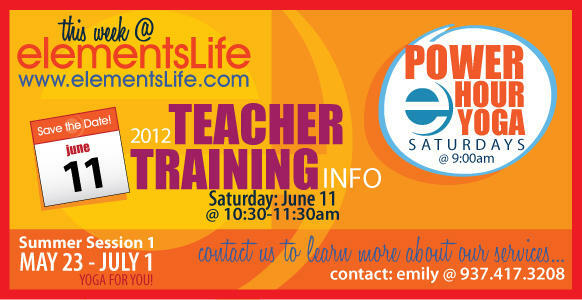 If you have any questions feel free to call Elaine Snyder at 548-3211 ext. 210. Pre-diabetes is a condition in which individuals have blood glucose levels that are higher than normal, but lower than the levels associated with the diagnosis of diabetes. Pre-diabetes increases the risk of developing type 2 diabetes and heart disease. However, by making lifestyle changes, you can reduce your risk for developing type 2 diabetes. The National Diabetes Fact Sheet estimated in 2010, 79 million Americans aged 20 years or older had pre-diabetes. Pre-diabetes allows you to make lifestyle changes and reduces your risk of developing type 2 diabetes. Uncontrolled blood sugar increases your risk of developing complications including eye disease, nerve damage, kidney disease, heart disease, and other complications. The Wayne HealthCare Diabetes Education Program invites you to join us for a Pre-Diabetes Class to learn lifestyle changes you can incorporate to improve your health. The class will be held on May 5, 2011 from 1:00 p.m. to 3:00 p.m. in the 3rd Floor Conference Rooms at Wayne HealthCare. The cost to attend the class is $10. Pre-registration is required. Call 937-547-5750 to register. Editor's Note: This is the fourth in a series of four photos described in our earlier post about the Darke County Photography Club's latest meeting. This was one of guest judge John Beals' favorites in the open division and was created by Heather Jackson. Amazing photo, Heather! Check back for more fantastic photos from the Darke County Photography Club. The Darke County Economic Development Office has been experiencing technical difficulties with our email system this week. As of approx. 10:00 this morning, we believe we have the issue resolved! If you have sent an email to our office this week that bounced back, or were expecting something from us that you have not received, please call us at 937-548-3250. We sincerely apologize for this inconvenience and we appreciate your patience while we were working this out. Thanks! The Darke County Economic Development Office is experiencing technical difficulties with our email system this week. The issue is affecting our outgoing mail as well as the incoming messages. If you have been expecting an email from this office and have not received it, or have sent a message to our office and it was not delivered, please call us at 937-548-3250 to report the problem. We sincerely apologize for the inconvenience and hope to have the issue resolved as soon as possible. We appreciate your patience. Thank You! 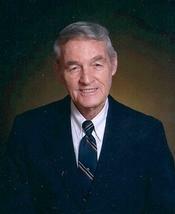 Lewis A. Kremer, age 84, of Versailles, Ohio, passed away on Saturday, April 23, 2011 at 9:40 PM at his residence. He was born on July 8, 1926 in Maria Stein, Ohio, to the late John D. & Agnes (Menker) Kremer. Lewis retired from Minster Farmer’s Co-op and also was a retired farmer. He was a member of the United States Army serving in WWII, St. Denis Catholic Church, Knights of Columbus, VFW in Versailles, AM Vets in Covington, and Versailles Eagles. Lewis enjoyed his family, church, gardening, going to his woods and golfing with his buddies. In addition to his parents he is preceded in death by his siblings, Ivo Kremer, Otto Kremer, Elsie Will, and Dorothy Winner; half siblings, Roman Kremer, Edward Kremer, Lawrence Kremer, Neal Kremer, Clara Balster and Herb Kremer. He is survived by his wife, Betty L. (Cramer) Kremer of Versailles, Ohio, whom he married on April 28, 1945 in Camp Blanding, Florida, by Chaplain Thomas O’Malloy; children and spouses, Tony L. & Mary Ellen Kremer of Celina, Ohio, David (Red) & Ruth Kremer of Versailles, Ohio, Diana & Dale George of Versailles, Ohio, Jo & Chuck Langenkamp of Greenville, Ohio, Ron & Sheree Kremer of Versailles, Ohio, Jill & Clarence (Butch) Simons of Greenville, Ohio, Dan & Jackie Kremer of Versailles, Ohio, and Ken & Julia Kremer of Versailles, Ohio; 26 grandchildren, 49 great grandchildren; siblings, Walter & Rita Kremer of Kettering, Ohio, Fred & Martha Kremer of West Lafayette, Indiana, Ray & Jean Kremer of Coldwater, Ohio, and Emily Minch of Celina, Ohio; sister in law, Nettie Cramer of Stafford, Virginia; as well as numerous nieces and nephews. There will be a Mass of Christian Burial held on Saturday, April 30, 2011 at 10:30 AM at St. Denis Catholic Church, 14 East Wood Street, Versailles, Ohio, with Rev. Fr. David Vincent celebrant. Burial will follow in the St. Valbert Cemetery in Versailles, Ohio. Family will receive friends on Friday, April 29, 2011 from 2-8 PM at Bailey Zechar Funeral Home, Versailles, Ohio, as well as Saturday from 9-10 AM at the funeral home. A graveside military service will be conducted by the Versailles Veterans Honor Guard. 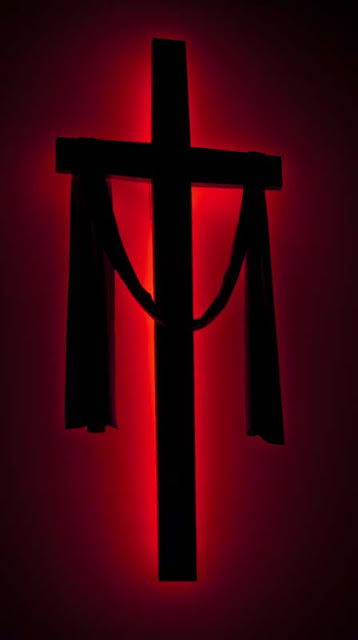 The Knights of Columbus will have a prayer service on Friday evening at 7:00 PM at the funeral home. The Wayne HealthCare Diabetes Education Program is offering Group Diabetes Classes. These classes are a series of four classes discussing different aspects of diabetes including nutrition, monitoring, coping with diabetes, complications, reducing risks, medications, and incorporating physical activity. The class series is offered May 2, 9, 16 and 23, 2011 from 6:00 p.m. to 8:00 p.m. The cost of the class is $10 per class. Pre-registration is required. Call 937-547-5750 to register. Little male dog found on Martin Street. Older dog ....missing its owner! Tan in color. The dog has a collar and we would like the owner to describe the collar to claim the dog. For information call 937-621-4038. How is everyone else enjoying the storms? Is the sound of rain music to your ears or does the thunder keep you up all night? On Thursday, April 28, reserved tickets for the 2011 Greenville High School Choir-O-Rama – “Higher Ground” - will go on sale from 6:30-8:00 p.m. in the Anna Bier Room at Memorial Hall. The ticket price is $7.00 for presale and $8.00 at the door. Choir-O-Rama will be held on Friday, May 20 at 7:30 p.m., Saturday, May 21 at 7:30 p.m. and Sunday, May 22 at 2:00 p.m. Performing in this annual event are the Wavaires, Concert Choir, Men’s Choir, Women’s Choir, Girls Glee, Choraliers, senior ensembles and various spotlights showcasing the talent. After the kickoff sale on the evening of April 28, further requests may be made by contacting Linda Hickerson at 548-2084 or going to the High School ticket booth from 11:00 a.m.-12:30 p.m. daily. The Wavaires will be performing “The Safety Dance,” “Blame It on the Boogie,” and “Steal Your Rock ‘n Roll” while the Concert Choir will be performing a medley from Journey hits. Girls Glee is singing songs made popular by Justin Bieber and the Choraliers are performing songs from the 60’s. Men’s Choir will be singing “Billionaire” while the Women’s Choir will entertain with “Viva la Diva.” The combined choirs will perform “Higher Ground” as the opening number and conclude with the traditional “You’ll Never Walk Alone” and finish off with “Seasons of Love.” The event is directed by Michele Smith with choir choreography by Tyler Stickel. The choirs are accompanied by Mrs. Terri Fryman on keyboard, Richard Kensinger on lights and Neal Eikenberry on sound. Consisting of 55 acres of maturing woodland and 15 acres of intermediate succession savannah, Eidson Woods offers an excellent range of habitats and species of interest. There are several tree species with significant age, including several ancient American Sycamores and White Oaks. The forest floor is awash with native woodland wildflowers and woodland frogs can be heard in the spring. Kraut creek, a pristine tributary of state designated Scenic River Greenville Creek runs along the Western edge of the woods. Within the forest is a button-bush swamp, commonly associated with high quality wetlands. This is a truly unique park that provides a feast for the senses in all seasons and should be visited often. The park is easily accessible from Ohio Route 502 West and Palestine-Union City Road. Call the Nature Center for directions or more information on the newest addition at 937-548-0165. Are you interested in pet therapy with your pet? A new pet therapy group is being formed in Darke County. Training for you and your dog to pass the Therapy Dog International certification test will begin Wednesday, May 18th at 6:30 p.m. The classes will be held each Wednesday for 5 weeks at Jeannie's Pooch Parlor on St. Rt. 502. Each class will be around 1 to 1 1/2 hours in length. Testing will be held at the same location in July. Owners must present a veterinarian certificate of vaccination. All dogs must have up to date Rabies, Bordetella and Parvo/Distemper vaccines. Pet therapy is a very rewarding activity. Our group will visit various nursing homes, hospitals, preschools, schools and assisted living facilities. Please call Jeannie's Pooch Parlor at 937-548-6287 for more information or to sign up. There will be a special board meeting on Wednesday, April 27, 2011 at 5:00 pm at the office of Hanes, Schipfer, Cooper, Graber & Guillozet, Ltd., 507 S. Broadway, Greenville, OH. This meeting will be a special work session to review the engineering plans for Phase II of the cross county trail to be constructed this summer. The Greenville Girls Softball Association will once again be offering an Adult Summer Slow-Pitch Coed Softball League in 2011. We are planning on a Sunday afternoon/evening league. For more information contact Shawn at 548-3854 or at sshaffer1@woh.rr.com or you can go to www.ggsaonline.com. The league is set to begin Sunday, May 29th, and all games will be played at Stebbins Field on State Route 49 North in Greenville. Teams must consist of at least five men and five women with an optional six and six maximum. New in 2011, the league will be an ASA sanctioned league. Once sanctioned, teams will receive an ASA sanction card which is good for all ASA state and national tournaments. For more information on ASA go to www.asasoftball.com. The schedule will consist of a 10-12 game regular season with 1st & 2nd place league and tournament trophies as well as league t-shirts for all placing teams. 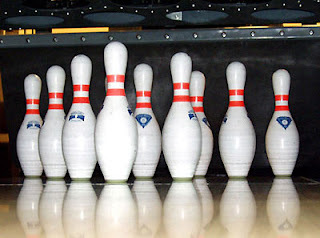 The league tournament will be double elimination immediately following the regular season. 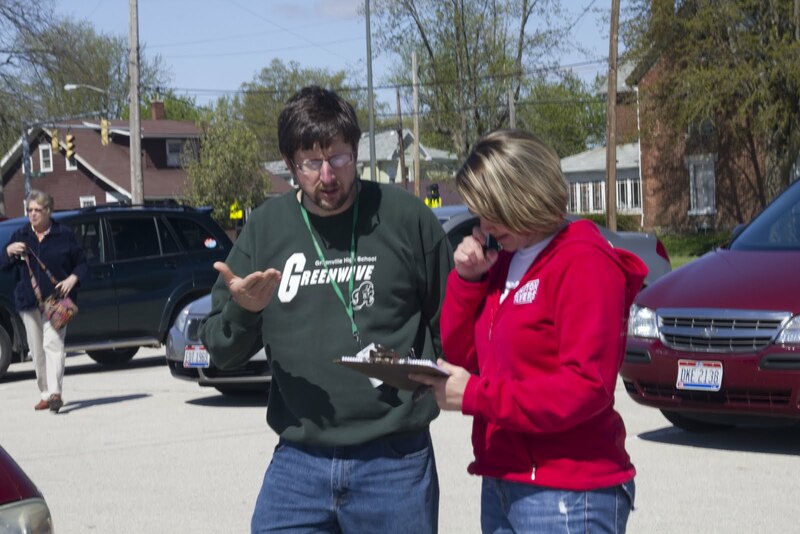 The Candidates' Forum sponsored by the League of Women Voters of Darke County will be broadcast on GPAT following the event, Monday, April 25 (7 PM). If you are unable to attend the Candidates’ Night, please be sure to tune into Greenville Public Access Television (GPAT), Channel 5 either Thursday, April 28, Friday, April 29, Saturday, April 30 and Sunday, May 1 at 10:00 AM, 2:00 PM or 8:00 PM each day. The program will be broadcast in its entirety. less than 1 1/2 hours. The event begins with very brief introductions by unopposed Darke County candidates on the Primary or General Election ballot who are in attendance. Then the evening begins with opposed Republican primary candidates for Greenville City Mayor. As a reminder to voters, there is only a Republican Primary in May. There is not a Democratic Primary as there are no contested Democratic candidates on the ballot. Voters when going to the polls may request an “issues only” ballot in lieu of a party declaration. Additionally, Candidates for Darke County Municipal Court Judge will not be on the ballot until the November General Election. The League of Women Voters is a non-partisan political organization with the major purpose being to inform voters about the candidates and issues. Special thanks to Nick Schmidt of Schmidt Photography for videotaping the evening, Todd Kaiser from Bach to Rock for the sound system and for setting up the equipment and to the American Legion for use of their facility. PLEASE REMEMBER TO VOTE, TUESDAY, MAY 3. Follow Up: Speaker Boehner Visits Rebsco Inc, Hears that "Middle America Needs Help"
As mentioned yesterday, Speaker of the House John Boehner visited Rebsco Inc. in Greenville. 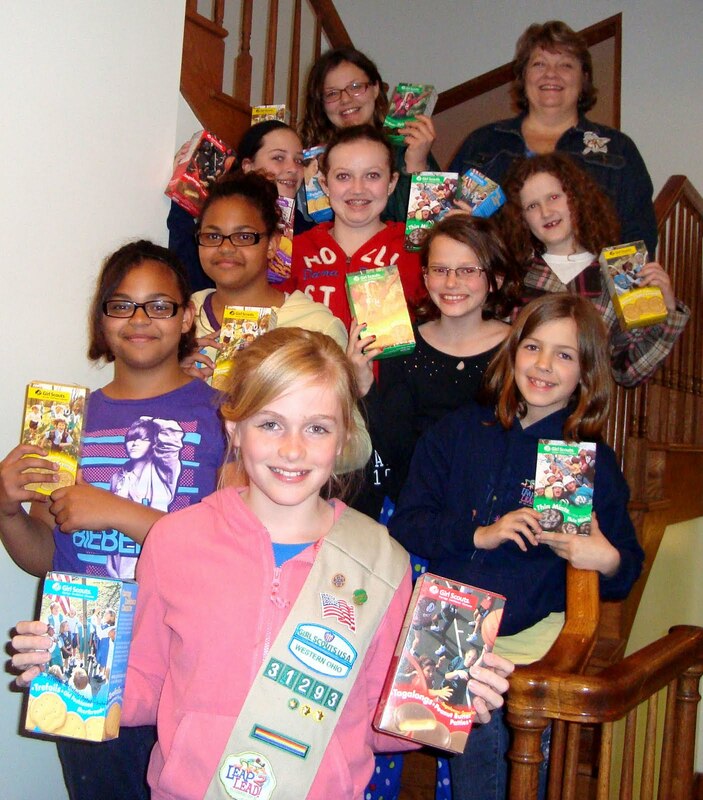 Find the WHIO report below. What do you think of Speaker Boehner's visit? Charles William Frech passed away Saturday, April 23, 2011, at his home. He was born February 3, 1927 to John and Marie (Gulley) Frech in Middleboro, Indiana. He lived in Richmond and Liberty, Indiana and resided the past 38 years in New Madison, Ohio. He attended Liberty schools and was a Navy Veteran of World War II and the Korean War, receiving an honorable discharge. 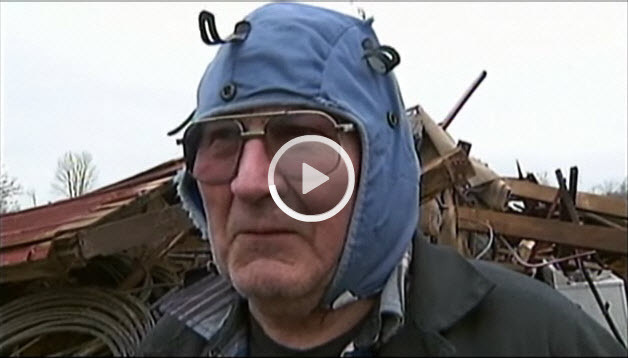 Charles was employed at Avco/Precision Products Division, Richmond, Indiana for 25 years. He attended several NC programming classes and retired from Cadillac Gage/Textron, Greenville, Ohio in 1991. Favorite interests included watching NASCAR racing, growing flowers, vegetables and canning. He was an active member of the New Madison United Methodist Church and enjoyed cooking for some of the church’s special events. Survivors include his daughter, Linda S. (George) Carr of Richmond, Indiana; granddaughters, Julie M. (Nick) Lemming of Seymour, Indiana and Gina M. (Alex) Cue of Oak Park, IL; great-grandchildren; Abigail Lemming, Sarah Lemming, Andrew Lemming, and Logan Cue; sister, Martha (Bob) Sigmon of Richmond, Indiana; half-brother, Steven Frech, and half-sister, Donna Wilmot, both of Centerville, Indiana; close friends, Sandra Cowgill, Michael Cowgill, and Shane Cowgill; and special friend, Jean Baker; nieces and nephews. He was preceded in death by his parents; sister, Mary K. Rubush; brother, Howard Frech; nephew, Gary Rubush; nieces, Sharon Mullinax and Alice Welbaum. The funeral service with military honors given by the Navy will be held on Saturday, April 30, 2011, at 1:00 pm at Braund Funeral Home, New Madison, Ohio, with Pastor Steve Hayes officiating. Burial will be in Greenmound Cemetery. Friends may call prior to the service from 10:00 am to 1:00 pm at the funeral home. 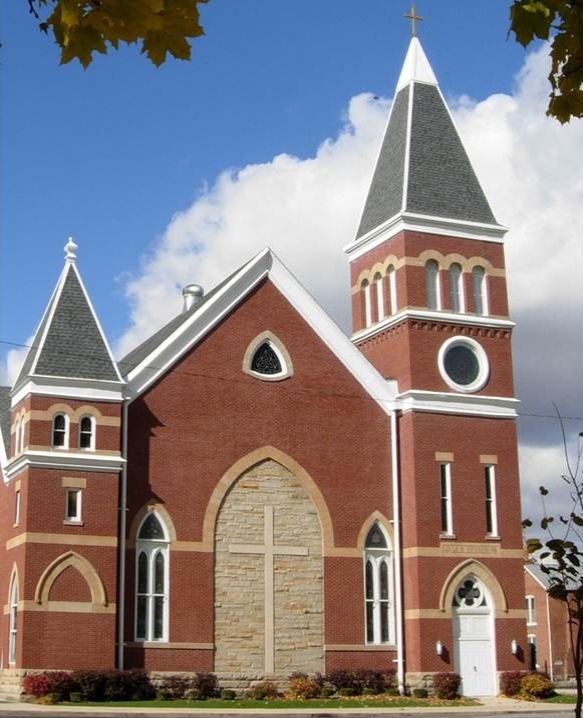 Memorial contributions may be made to the New Madison United Methodist Church. 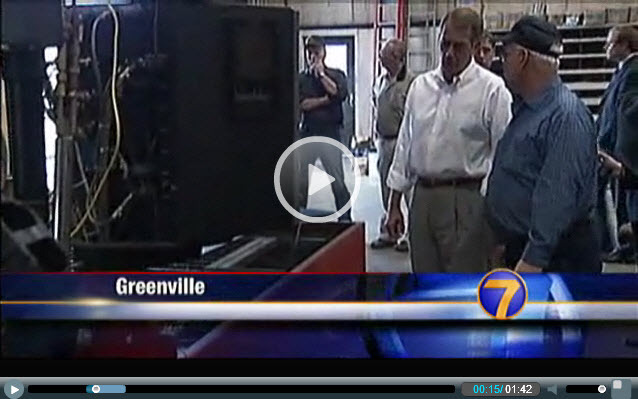 Courtesy of ABC News, John Boehner stopped in Greenville today at Rebsco Inc. in Greenville and discussed several topics at the forefront of everyone's mind, including what can be done regarding the ridiculous price of gas. 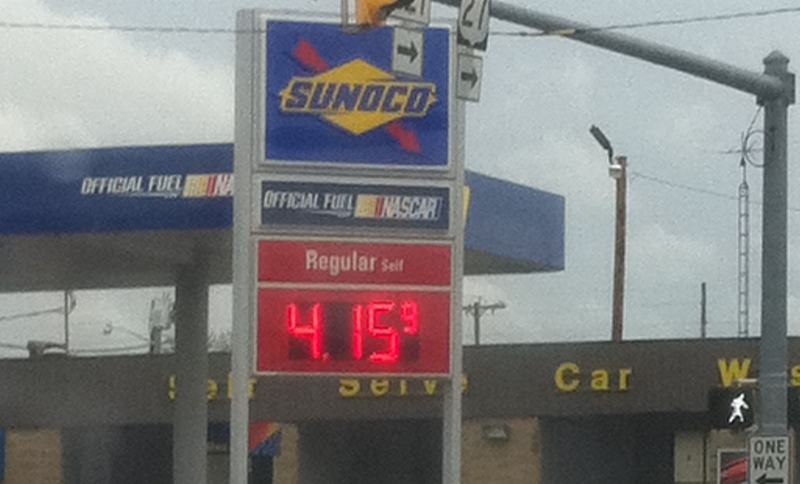 Gas Soars Past $4 in Richmond. Is Greenville Next? Double M Diner and The Matt Light Foundation provided a free Easter dinner on Sunday to nearly 200 people. 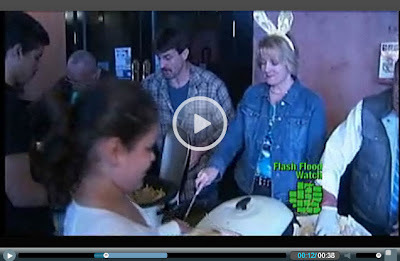 Check out the video linked below for footage from WHIOtv.com of the event and even a glimpse of the elusive Easter Bunny. Put your euchre, bingo and bridge skills to the test by matching up with older adults with a lifetime of experience mastering these and other games. Oakley House needs activity assistants to play bingo and games with the residents of its facility. Volunteers will also help residents make crafts and participate in special events. This position is available Monday through Friday from 9 a.m. to 4 p.m., and a flexible schedule is available. Volunteers should be at least 18 years of age. To learn more about this volunteer opportunity or other opportunities within our community, please contact HandsOn West Central Ohio at (937) 548-8002, ext. 211, or visit www.handsonwestcentralohio.org. HandsOn West Central Ohio, including Retired and Senior Volunteer Program, is a program of Council on Rural Services. This program receives funding from Darke County United Way, Corporation for National Service, Area Agency on Aging, PSA2, and the Darke County HOPE Foundation. We have made up over 100 foldout boards about the classes. Open to all G.H.S. graduates or faculty, or friends of G.H.S. or anyone who attended G.H.S. or is interested in G.H.S. In order to preserve the Cincinnati Northern Depot at 610 West Third Street in Greenville, we need photographs that are not currently available on the internet. Any photograph showing any portion of the building will be helpful. Since the depot was used for troop deployment during WWI and WWII, there may be a lot of photographs as a result of troop departures and arrivals. Please email copies of photos or other documents of historical significance to lew@columbus.rr.com or mail items to Lew Crowell, 208 Woodedge Cir W, Powell, Ohio 43065. The New Madison Tri-Village Alumni Committee wishes to invite all New Madison and Tri-Village graduates for an evening of reminiscing and renewing old friendships at the annual alumni banquet to be held at Tri-Village High School May 21, 2011. This year’s honored classes are: 75 year Class of 1936, 50 year Class of 1961 , and the 25 year Class of 1986. The meal will be catered by Tri-Village graduates Tanya and Chris Clark of Delight Catering. Registration begins at 4:00 with appetizers offered from 4:30 to 5:30 and the main meal will be served at 6:00. Invitations are mailed only to the honored classes with a mass mailing every five years. If you are not in an honored class please contact Monyca Schlechty at 937-548-0725 to place a reservation. 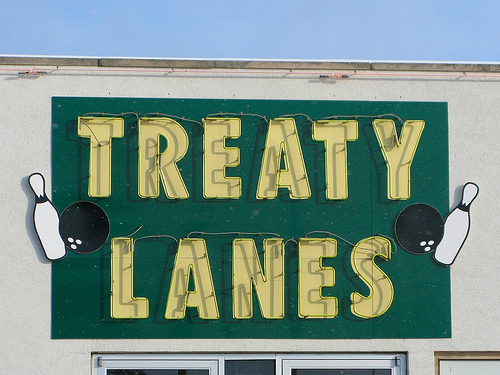 Deadline is May 7, 2010. 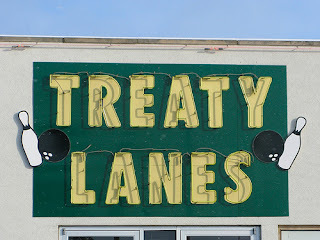 Editor's Note: This is the third in a series of four photos described in our earlier post about the Darke County Photography Club's latest meeting. 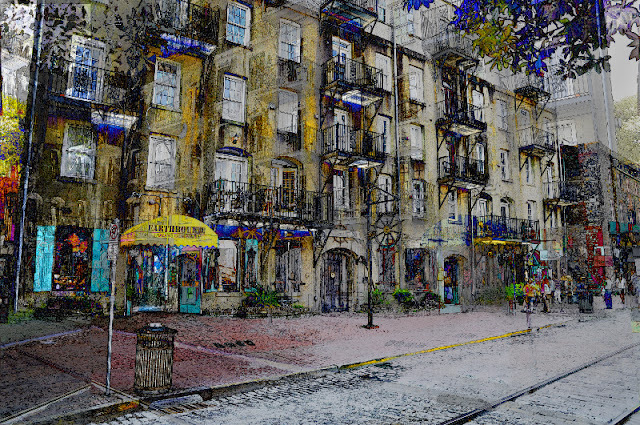 This was one of guest judge John Beals' favorites in the open division and was created by Kathy Quinn. Beautiful photo Kathy! Check back throughout the week for more fantastic photos from the Darke County Photography Club. 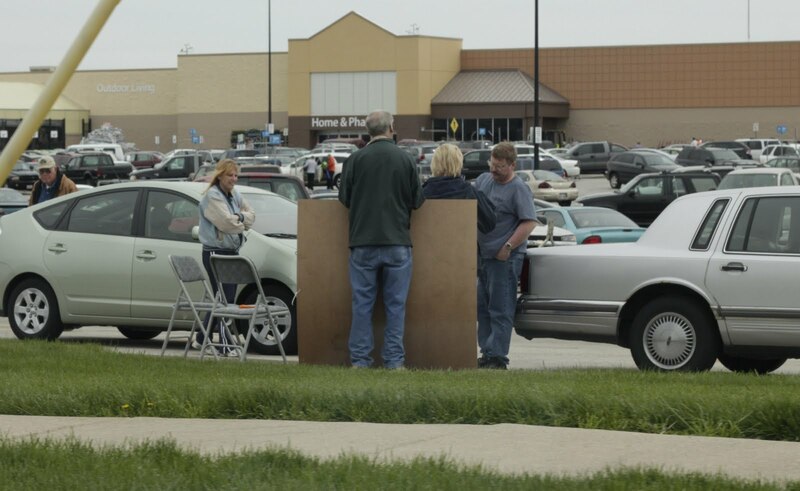 WHIOtv.com has video from the Celina Wal-Mart's security system from right before the tornado. Scary stuff. Happy Easter from Darke Journal! 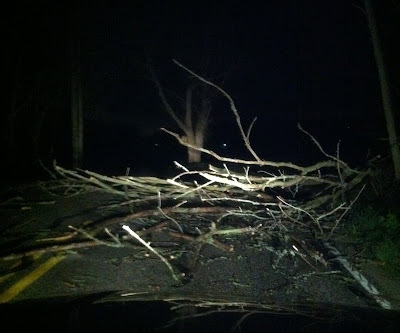 Jeannie Grosch submitted the following photo taken at EUM. Thanks, Jeannie! Have a great holiday, everyone! 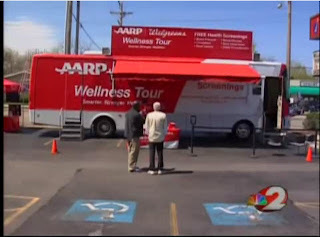 AARP and Walgreens have teamed up to create a Wellness Tour that is making stops around the area. They will be setup at the Greenville Walgreens on Monday, April 25. Anyone can stop by and receive 6 free health tests. 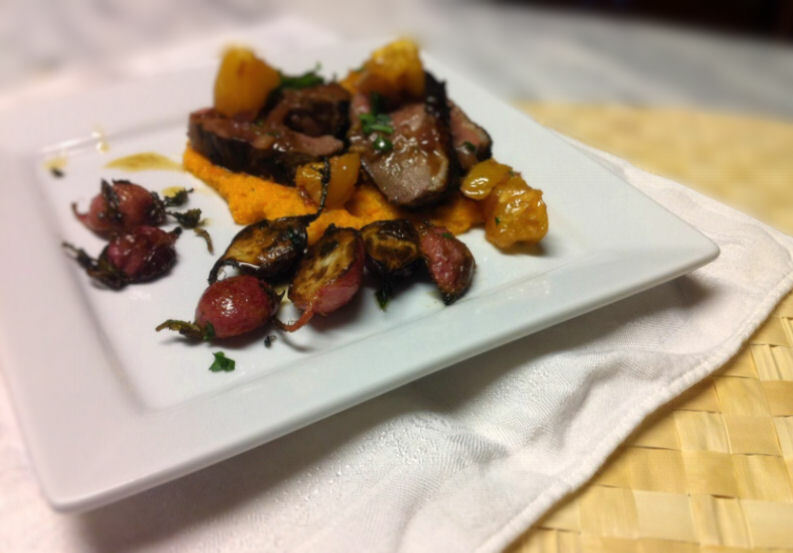 Our friend Chef Jeff over at the Eaterie Food Blog has posted a fantastic recipe that he warns is "not for the faint-of-heart." He explains that he likes to "occasionally pull out the Big Guns and prepare a full blown, 5-star meal that will knock the socks off everyone." Check out one of his latest recipes at the link above, have your socks blown off, then try it on your own and blow off your friends' and family's socks off as well! An original Dedication Program for Henry St. Clair Memorial Hall, dated Friday, May 3, 1912, has been donated to Darke County Center for the Arts for its two-day Centennial Celebration planned for May 4-5 next year. It was donated by Todd Blocher of Xenia, and will be donated to Garst Museum following the Celebration. The event featured then Governor of Ohio, Judson Harmon, as the main speaker. Entertainment included Mann’s Orchestra and the Girls’ Chorus, Greenville High School. Also speaking at the event was E. M. VanCleve, Supt. State School for the Blind. Members of Greenville’s Board of Education at the time were F. T. Conkling, President, C. J. Herr, Vice President, Dr. W. T. Fitzgerald, Clerk, and John Mong, Harry Vance and J. E. Williams. Greenville Schools Supt. was J. J. Martz. Partnering the celebration with Darke County Center for the Arts is Garst Museum, Greenville School District, Main Street Greenville, Darke County Visitors Bureau, historic re-enactors John & Karen Burkett and, just recently, the Fort GreeneVille Chapter of the Daughters of the American Revolution. The DAR was founded in 1890; the local chapter established in 1932. Membership for a woman over 18 requires proven lineal descent to a member of the American Revolution. According to Chris Nehring, DAR member, this could include a large number of county residents due to Darke County’s history and heritage. Nehring and Debbie Nisonger, DAR members, have indicated that members are excited about partnership for this event… DAR objectives are historical preservation, patriotism and education. 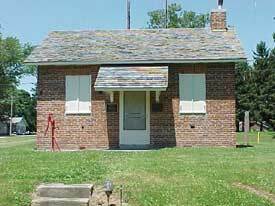 The Fort GreeneVille Chapter owns Studabaker Schoolhouse, the first brick schoolhouse in Darke County, and donated the Garst House – the current Garst Museum – to the Darke County Historical Society. DCCA would like anyone having information about Henry St. Clair Memorial Hall, or memorial items they wish to donate, to contact Artistic Director Keith Rawlins at 937-564-1883 or Board Member Bob Robinson at robinsonbob615@gmail.com. 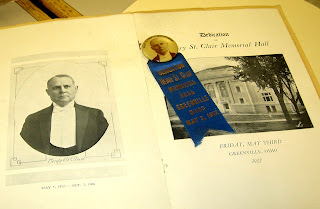 The Dedication Program, dated May 3, 1912, for Henry St. Clair Memorial Hall. The Darke County Sheriff’s Office is investigating a Robbery at the Pak-a-Sak (convenience store) located at 3433 SR49, Arcanum, OH. 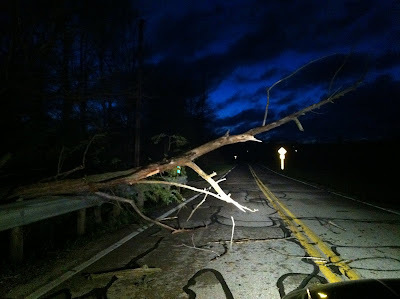 On Friday night, April 22, 2011 at approximately 9:34 P.M., deputies along with Arcanum Police Department were dispatched to the Pak-a-Sak located at 3433 SR49, Arcanum, OH., in reference to a Robbery that had just occurred. The clerk advised that the suspect was wearing a black sock hat pulled over his face, stated that he was armed with a gun and demanded the cash from the register. The clerk then handed the suspect money from the cash register. At 9:57 P.M., Montgomery County Dispatch advised that Clay Township Police Department, along with other Montgomery County units affected a felony traffic stop on the suspect vehicle. A male identified as Thomas R. Farrel of Eaton, OH. 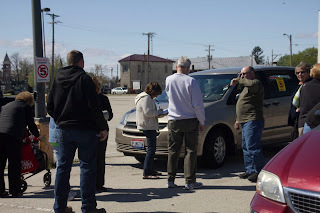 was arrested from that stop and transported to the Darke County Jail. Farrel was booked in for Aggravated Robbery. 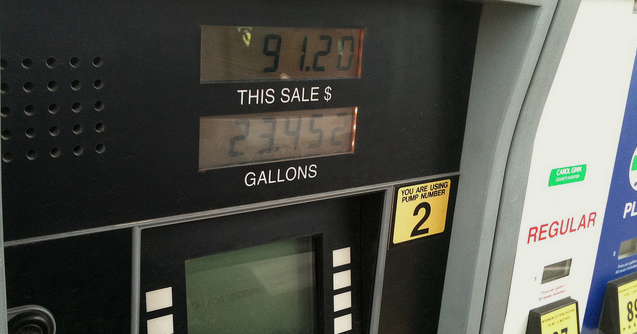 Open thread: so how are you feeling about these gas prices? 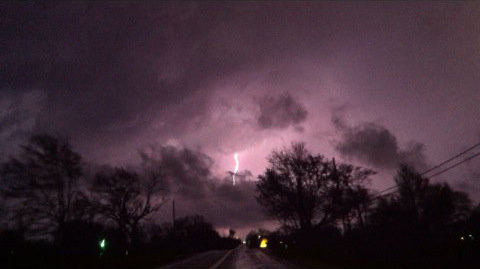 Check out this video of the storm passing through. It's a pretty ominous sight! Editor's Note: This is the second in a series of four photos described in our earlier post about the Darke County Photography Club's latest meeting. This was one of guest judge John Beals' favorites in the themed category of "Windows & Glass," and was created again by Mel Cabeen. Great shot, Mel! 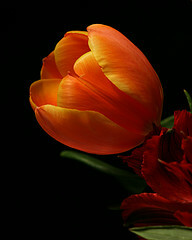 Check back throughout the weekend for more fantastic photos from the Darke County Photography Club.